This limited edition collector's tin features a total of 14 cigars. 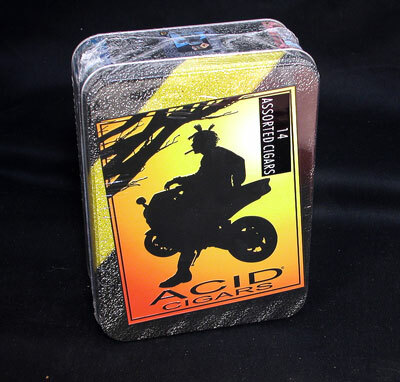 ACID's greatest hits in a "scentillating" collection. This colorful tin contains 14 of ACID's most popular cigars, each handmade in the Cuban tradition with select tobaccos, flawless wrappers and 140 botanicals for a truly unique taste trip. Re-adjust your head and order yours now. Our Price: - You Save $18.92!